Everybet.io: A Bitcoin-Exclusive Bookie Lacking Bonuses? A modern and cool interface with a dark indigo and neon pink motif welcomes you as you enter Everybet.io. This Bitcoin-exclusive sports betting site started running in 2018. It is operated by Eurofun Investments NV under the laws of Curacao. You can browse the site in four languages: English, German, Português, and Brazilian Portuguese. It also has over 40 country restrictions including Cambodia, Ireland, New Zealand, the US, and the UK, to name a few. The jurisdiction limitations may seem a lot, but the site adopts a risk matrix system in which it reviews every territory and restricts the ones that are too risky or where betting is illegal. With this setup, Everybet.io can operate its site on the right path. You can reach Everybet.io’s customer support through its live chat and email. If you would like to know if this is the bookie for you, read through this in-depth review. Unlike other sportsbooks that offer tons of deals, Everybet.io provides you with free bets up to 3 mBTC. Upon placing your first wager, you are entitled to two free bets of the same value. This deal requires you to wager on odds that are 1.9 or greater. Plus, the free bets you will receive cannot be placed on in-play markets. Unfortunately, the free bets bonus is the only promotion this betting site offers. If you are looking for a cashback bonus, loyalty program, or tournament, this sportsbook does not have one. Everybet.io offers over 10 sports for you to wager on. The selection provides basketball, football, ice hockey, tennis, and darts, among others. Under each sport, odds can be viewed per game categories such as the NFL, NBA, Premier League, NHL, and UFC. Once you have chosen which sport or tournament to bet on, you can start entering your bets. The bookie provides different betting types that vary per sport. There are singles, money lines, system bets, outrights, spreads, total points, and novelty bets. There is also an In-Play section within the platform. This is essentially the live betting category of the site. You can browse through the section’s Event View, Dashboard, Multiview, Live Calendar, and Results. The betting hub is not only a sportsbook, but it is also a casino. You can play poker, table games, and slots on the Casino section of the site. Being a Bitcoin-exclusive sportsbook, Everybet.io accepts only BTC. You can make deposits by using the unique QR code that you will receive or the site’s wallet address. The minimum amount needed to top up is 1 mBTC. Meanwhile, withdrawals are made by linking your Bitcoin wallet address. The lowest amount you can cash out is 2 mBTC. In the event that you would like to make a withdrawal of 1 BTC or greater, the betting site will perform additional verification procedures. Everybet.io: Is It Worth It? When you visit the site you will be enticed to register as the site’s layout is sleek and striking. The betting hub is also easy to navigate as its interface is simple. The selection of markets is decent as the bookie provides major sports games to bet on. There is also an array of betting types which is good if you are the type to look for more betting options. However, the site has its downsides. The betting platform’s customer support live chat is not the best as there are times when the chat is offline because it is not offered 24/7. There is also only one promotion offered which is the two free bets upon the first wager. As a Bitcoin-exclusive sports betting site, it is acceptable that the only currency it supports is BTC and the payments methods are limited to Bitcoin wallet transactions. 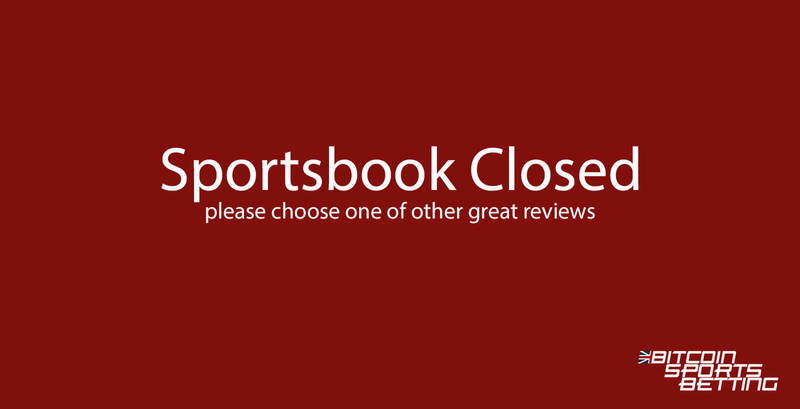 But with the bookie’s lack of deals, its good-enough features are just not enough to make the site recommendable. You may want to browse other Bitcoin sportsbook reviews as there are other sports betting sites out there that have more to offer.